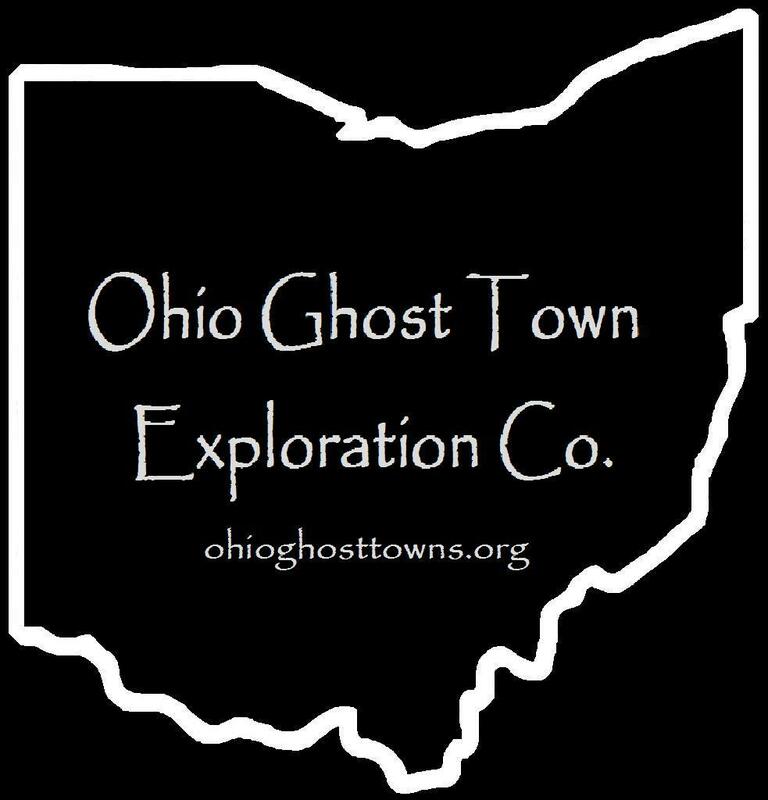 Marion County – Ohio Ghost Town Exploration Co. Description: It was a crossroads town named after the abundance of beech trees in the area & had a steam saw mill, school, blacksmith shop, & two churches in the mid 1800s to early 1900s. Description: The town was platted in 1829 by War Of 1812 veteran Colonel James Kilbourne (1770 – 1850) from Connecticut. He was a minister, surveyor, & served in the US Congress & state legislature. James also founded a few other towns in Ohio & was buried with relatives in St. Johns Episcopal Church Cemetery in Worthington, Franklin County. Description: The original group of settlers arrived in 1832. It had two churches, a blacksmith shop, & a school in the late 1800s. Description: This first settlement in the township was named by Alanson Packard after the song “Banks Of The Clyde” referring to a river in Scotland, which was routinely sung by Samuel Hazlet. Description: It was founded by John Gurley (1813 – 1892) & Hannah (Monnett) Gurley (1817 – 1880) who were prominent citizens in the township, had a 160 acre farm, & one son. The town had a train station on the Bee Line of the Cleveland, Columbus, Cincinnati, & Indianapolis Railroad. There was also a school on the north side of SR 95. John & Hannah were buried with relatives in Marion Cemetery on Delaware Ave in Marion. Description: The proprietor David Harvey (1821 – 1902) from Pennsylvania accumulated about 1200 acres in Grand Prairie Township, Marion Township, & Crawford County. He farmed grains, wool, & dealt livestock. David had 7 children with his first wife Calista (Everett) Harvey (1829 – 1861) & helped raise his second wife’s children, Lucinda (Morris) Bell Harvey (1830 – 1887), who was also widowed. On top of that, his brother William Harvey (1819 – 1861) passed away of typhoid less than a month after being elected Marion County Sheriff & David looked after his widow & their younger children. He was buried with relatives in Marion Cemetery on Delaware Ave in Marion. Description: The town was founded by Thomas Parr (1814 – 1898) & Sarah Ann (Pitzer) Parr (1817 – 1899) who moved to Bowling Green Township from Licking County & had a few children. Holmesville had a tavern, wagon shop, blacksmith shop, a few stores, & a horse powered grist mill built by Thomas. It was abandoned as it couldn’t compete with La Rue, which drew away businesses & grew quicker. Thomas & Sarah moved to Illinois & were buried with relatives in West Serena Cemetery in Serena. Description: It had a freight station on the Columbus, Sandusky, & Hocking Railroad. Description: This small farming town was founded by a branch of the Hord family in the county & was on the Chicago & Atlantic Railroad. Description: Logan was on the Bee Line of the Cleveland, Columbus, Cincinnati, & Indianapolis Railroad. Description: The town was named after Peter Long, had a school, & was on the Bee Line of the Cleveland, Columbus, Cincinnati, & Indianapolis Railroad. Description: This small farming town had a church & school. Description: Newly arriving settlers built temporary tents & cabins to reside in before purchasing lots in the area on the eastern edge of what would later be the town of Bethlehem. The land was owned by War Of 1812 veteran William Drake (1769 – 1850) & Rebecca Drake (1768 – 1855). They moved to Ohio from New York in 1808 & had 7 children. Their son Daniel Drake (1805 – 1881) inherited the property & kept the camp going. William & Rebecca were buried with relatives & other early pioneers in Drake Cemetery. Description: The town was on the Erie Railroad & founded by Philip Slick who operated a tavern & inn for travelers. Description: The patriarch & matriarch of the family were blackmith William Smith (1792 – 1835) & Elizabeth Smith (1792 – 1862) from Maryland who had a nice farm & a few children. Their son William Washington Smith (1821 – 1912) was the proprietor of the Smith & Co. mills. Titus King (1793 – 1868) & Margaret (Storm) King (1808 – 1861) from Vermont also owned a saw mill in town & were the namesake of the present day Kings Mills Golf Club. Their son George King (1832 – 1883) expanded the saw mill with a grist mill. Some of the town’s residents were buried in Smith Cemetery. Description: It had a school & church on Morral – Kirkpatrick Rd E east of the cemetery. Description: There are a couple references to it in the 1883 History Of Marion County Ohio with no location or town info. Description: The town had a church, the school, & a brickyard across from the cemetery. Land for the cemetery was donated by John Bonner (1811 – 1894) & Elizabeth (Young) Bonner (1801 – 1883) who were buried there with relatives.